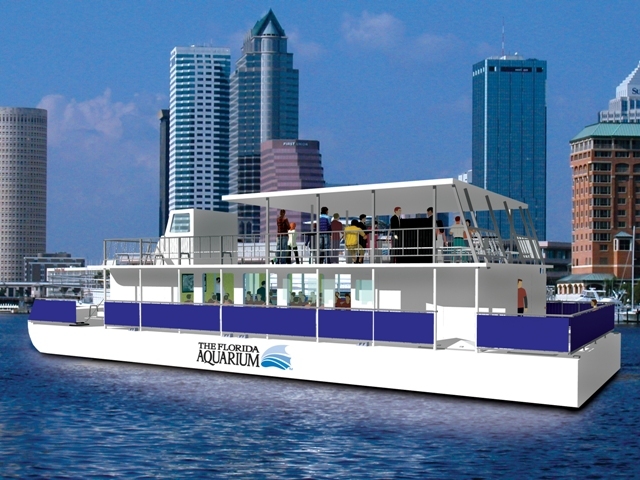 The Florida Aquarium has announced some very exciting news... the Bay Spirit II is The Florida Aquarium&apos;s new catamaran that will set sail at the end of May! This two-story, 72-foot boat fits 149 people and is available to be rented for private charters during the day and in the evening. Guests on the Bay Spirit II can expect to experience breath-taking views of Tampa Bay from a completely unique perspective, not to mention the dolphins, birds and other creatures that can only be seen by boat off Tampa&apos;s coast. Private charters on the Bay Spirit II will start at around $1500. Meeting planners will enjoy the option of having A/V, entertainment and plasma televisions on-board for special events and receptions, with no F&B required for rental. The aquarium currently offers Eco-Tours at 12 p.m., 2 p.m. and 4 p.m. daily and will continue to do so after the Bay Spirit II sets sail. The cost for their Eco-Tour is $21.95 per person, or you can purchase an Eco-Tour and Aquarium ticket combo for just $35.95! Check back later on next month for the confirmed sail date of the Bay Spirit II, or visit the aquarium&apos;s Web site for more information. As always, thanks for stopping by!